What is this shop lease for? You need this document if you are a landlord and want a straight-forward contract to govern your relationship with the shop’s tenant. This template is for use in England and Wales. What are the main issues to cover in a shop lease agreement? 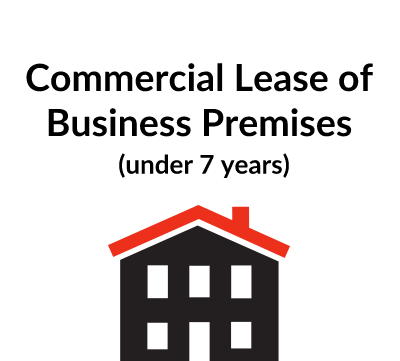 What detailed terms does this short-term shop lease contain? a general clause detailing notices, declarations, the Landlord and Tenant Act 1954, third party rights, the creation of a new tenancy and governing law. ContractStore supplies templates and is not a law firm. But all our templates are written by experienced lawyers, in this case by a property specialist. So we can arrange legal assistance for customers who need special terms in one of our documents or a bespoke template. . For more information see our Legal Services page. 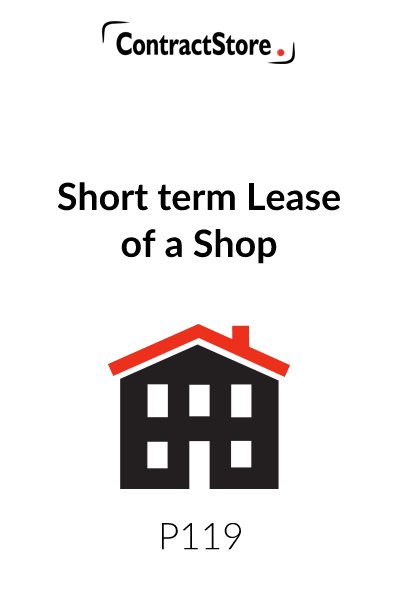 This form of lease is intended for use of a short term lease of a shop in a high street with no rent review. Assignment and sub-letting is not permitted. It is assumed that the lease will be contracted out of the Landlord and Tenant Act 1954 and that it will be a headlease or, if an underlease, that it complies with the requirements of the headlease. It has been drafted so as to comply with the relevant recommendations of the Code of Practice for Commercial Leases (second edition, April 2002). Landlord and tenant law is a complex area of law and specialist legal advice is always recommended before entering into a lease, whether you are a landlord or a tenant. Rent is the basic rent only. Insurance costs, rates and utilities charges will be in addition to the basic rent. The Building is the whole of the land and building owned by the landlord. The Premises is part of the Building which is let to the tenant. The description and extent of the let property will depend on the type of construction of the building. You should consider whether any structural or external areas should be included. The windows and shop fascia should be specifically mentioned. This section describes the rights granted to the tenant and the rights reserved to the landlord together with other rights to which the lease is subject. Reference is made to the rights and reservations in the transfer under which the landlord holds the freehold of the Premises. Clause 4.5 expressly excludes any rights over any adjoining property (other than any rights which may be specifically granted under clause 4.2). Clause4.5 also excludes the provisions of section 62 of the Law of Property Act 1925 in the absence of which the lease would confer on the tenant all easements, rights and advantages enjoyed by the Premises at the date of the lease. This section lists payments the tenant must make to include Rent and all outgoings in respect of the Premises to include VAT. This section includes an absolute prohibition on dealings – i.e. 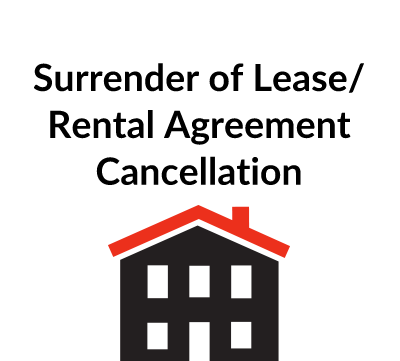 transferring the lease to someone else or subletting. To redecorate and replace the floor coverings at the end of the term. There is then a general repairing obligation on the tenant. On the assumption that the lease is not a full repairing lease, the section includes wording limiting the repairing obligation by reference to a schedule of condition. It may not be worth the time and expense of preparing a schedule of condition for a short term lease and, from the tenant’s point of view, it would be better to delete the obligation all together. This section allows the tenant to put up and remove non-structural, demountable shop fittings. Re-instatement is required at the end of the term only if this is reasonable. Otherwise the tenant may not carry out any alterations including alterations to service media. Section 8 may therefore need to be amended if needed. The Permitted Use is as a shop for sale of specified items. The description of the specified items should be wide enough to cover the tenant’s proposed business over the term of the lease. 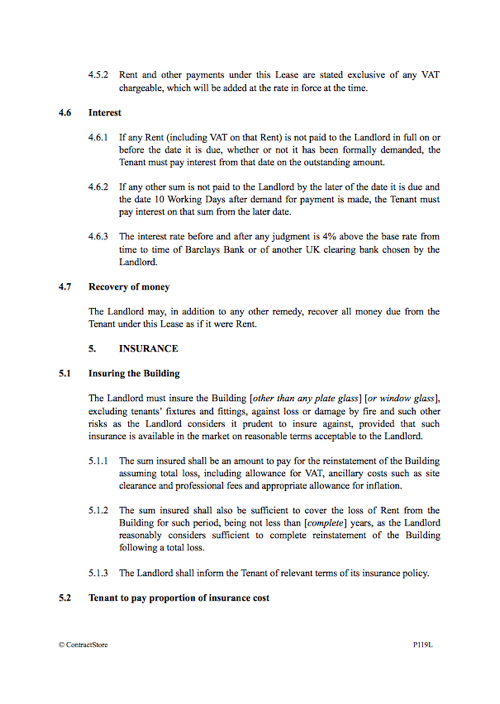 This section sets out the tenant’s obligations to comply with all lawful requirements in respect of the Premises. This section sets out the tenant’s obligations at the end of the lease to remove all stock, fixtures and fittings. There is a broad obligation on the tenant to indemnify the landlord both for breach of covenant and for the tenant’s acts or omissions. Acts or omissions are not limited to negligent acts or omissions and a tenant will need to check that it has appropriate insurance cover or seek to amend the provisions in this section. It is assumed that the lease will be excluded from the security of tenure provisions of the Landlord and Tenant Act 1954. Please refer to the attached Note on the procedure for contracting out. NOTE: For further information on the Procedure for Contracting Out please see our free document Z166.